Madhuri Dixit's Maar Daala from Devdas or Tabaah Ho Gaye from Kalank - Which Song is Your Favourite? There's a reason why Alia Bhatt was scared to perform in front of Madhuri Dixit for Kalank's Ghar More Pardesiya! She's an epitome of gracefulness and her love for dance cannot be even. One of the best dancers in the industry since her time, Madhuri has always been elegance personified. From Ek, Do, Teen to Maar Dala and the recent Tabaah Ho Gaye, her dance moves have inspired so many and we still remember matching her steps to some of her popular and classic songs. However, if given a choice between Devdas and Kalank - which song of hers would you pick as the most flattering one? Tabaah Ho Gaye Song: Madhuri Dixit Nene's Graceful Moves and Shreya Ghoshal's Vocals Create a Magical Effect Together (Watch Video). It was a task to perform on Maar Dala in that Abu Jani - Sandeep Khosla heavy embroidered attire. But the word 'difficult' does not exist in her dictionary and she went ahead to give a performance of her career in that song. Those classical moves paired with her elegant expressions were a deadly combo and the end result was overwhelming. 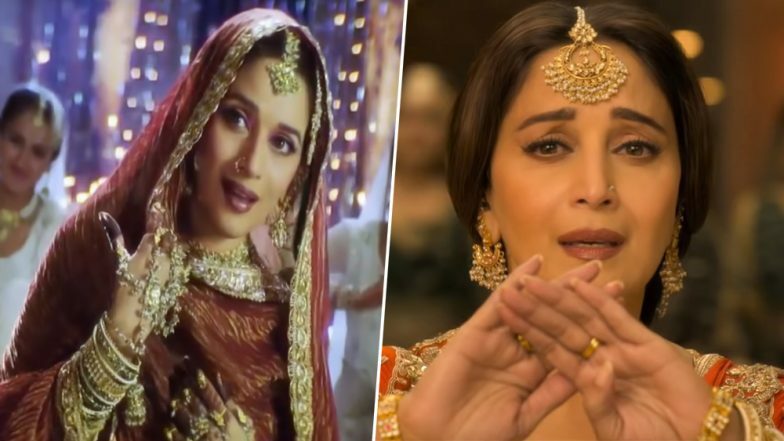 Kalank: ‘Tabah Ho Gaye’ Is Nowhere Similar to Devdas’ ‘Maar Daala’, Says Madhuri Dixit. Coming to Tabaah Ho Gaye, Madhuri collaborates with Saroj Khan for another classic number that's coupled with Shreya Ghoshal's melodious voice. With such beautiful steps that compel the dancer in you to start grooving or encourage the ones with two left feet, this dance sequence is going to be the highlight of this period drama and we can't wait to watch it on the big screen. So go ahead and vote for your favourite dance number. We are rooting for both.